Did you know over 90 percent of adults who have undergone teeth straightening experience an instant boost in confidence? According to a Harris Poll coordinated by the Invisalign brand, an overwhelming majority of Invisalign patients experienced greater overall confidence, success, and happiness after undergoing an Invisalign treatment. Not long ago, traditional braces were the only option for people desiring straighter teeth. Unfortunately, braces are impossible to ignore and make brushing and cleaning quite a chore. Invisalign dental aligners work just as well as braces and solves both of these problems. These clear, removable aligners are virtually impossible to spot and they can be easily removed to make cleaning your teeth easy as can be. In fact, most Invisalign patients barely notice they’re even there. With Invisalign, you no longer have to feel embarrassed or awkward on dates, at job interviews, or in social situations. If you want straighter teeth without the hassle obvious appearance of braces, Invisalign may be the solution for you. 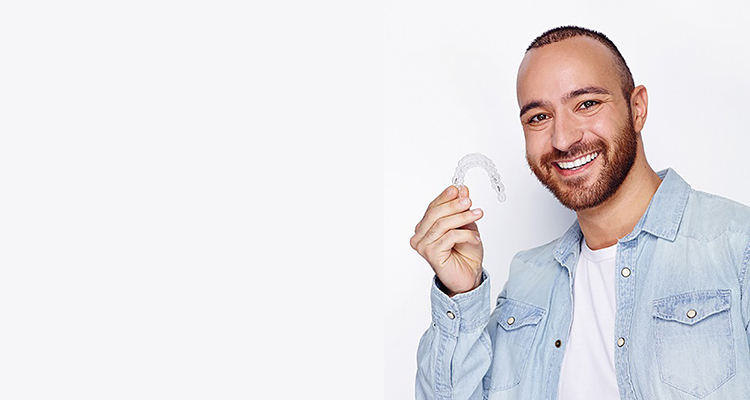 However, despite being around now for quite some time, many patients still don’t know what exactly Invisalign dental aligners are and how they work. That’s why we’ve dedicated an entire section of our blog to discuss these remarkable orthodontic devices. Keep reading to learn more about Invisalign and why it’s become the preferred choice for orthodontists and patients alike.